We live in a Smart Home. We kind of just have to because of the way technology is today and because of how busy we are. I wouldn't change a thing and in fact, as technology develops, I find myself getting so excited for new items to come out. 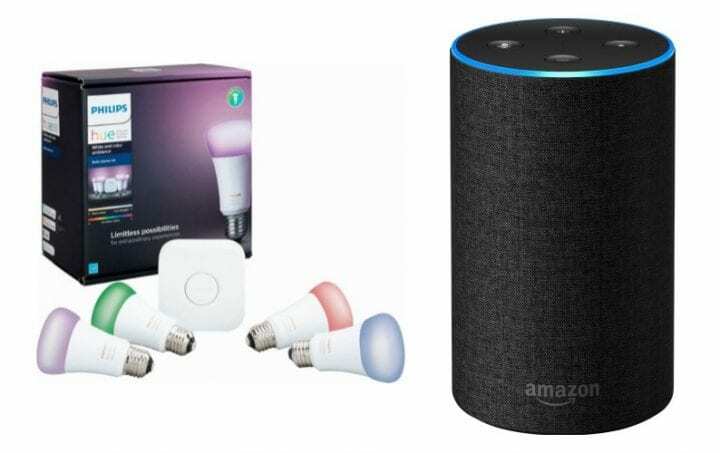 We hope that you love this Tech for Mom: Amazon Echo and Philips Hue White and Color Ambiance Starter Kit from @BestBuy #amazon #alexa #bestbuy #PhillipsHue post. Do you want your home to get a little smarter AND brighter? A few years ago, I wrote about the Philips Hue when it first came out and to this day, I still love it. I love being able to control my lights from my phone and I especially love that I can even change the colors of the light. My youngest child sometimes thinks that we are magicians because of the cool things that we can do with the lights. Our smart home just got smarter because now Philips Hue works with Amazon Alexa to control your lights. All with your voice. You can use Alexa Voice Service to turn off the lights when you are going to bed, turn them on when you get up in the morning, dim the lights in the room or even choose your favorite color. They are constantly adding new functionalities to provide you with the best, most technologically advanced, voice controlled lighting experience. Why Amazon Alexa and Philips Hue? Simply ask Alexa to “turn on all Hue lights”, “turn off all lights ” or “dim my lights to 50 percent”. You can also control specific rooms or lights, by saying “Alexa, turn on living room” or “Alexa, turn on desk light”. Add a touch of color to your home with Philips Hue and Amazon Alexa. Just ask Alexa to “turn living room to orange”, or any other color you can think of. You can also recall your Hue scenes by saying, “Alexa, turn on tropical twilight in living room”. You can pickup the Amazon Echo (2nd Gen) and Philips Hue White and Color Ambiance Starter Kit at Best Buy. We hope that you enjoyed this Tech for Mom: Amazon Echo and Philips Hue White and Color Ambiance Starter Kit from @BestBuy #amazon #alexa #bestbuy #PhillipsHue post. 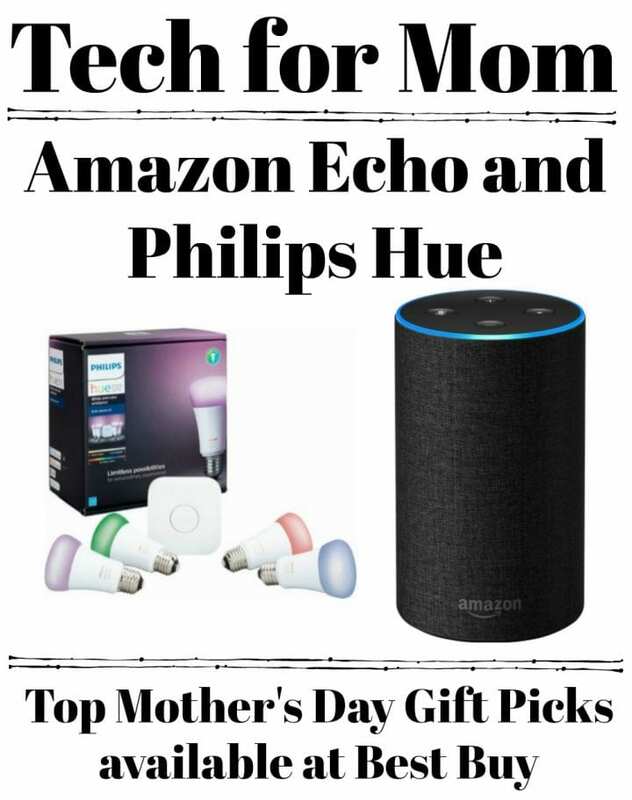 This Tech for Mom: Amazon Echo and Philips Hue White and Color Ambiance Starter Kit from @BestBuy #amazon #alexa #bestbuy #PhillipsHue post in sponsored. 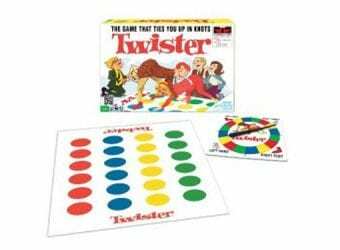 The reviewer has been compensated in the form of a Best Buy Gift Card and/or received the product/service at a reduced price or for free. I have to admit i live in a pretty low tech house that works in old fashioned ways including our TVs. I wuld love to get the Amazon Echo and Philips Hue White and Color Ambiance Starter Kit and try and retrofit our home to get more up to date. I would love to get an Amazon Echo. I would just have to figure out what I’d use it for! We have Alex already, so now we need to get those Hue lights. I just told my husband and he agreed. I think it’s fun to change up the light colors. It really does make the mood different. We love using our Alexa, but I think we would love it even more with the color changing option. I am definitely suggesting it to my husband in the morning! The Philips Hue light bulbs are something I would be very interested to purchase. I like soft mood lights. I wish my vision was better so I would not have to suffer with the bright CFL lights we have at home. Oh this is a great video. Looks like a very cool products. I’d love to have that one in our room. That would be fun to decorate the house in! Believe it or not we are probably one of the last households that does not have Alexa, but I still like the whole idea of these lights changing colors. I’m a very creative person so something like this is right up my alley. What some great ideas. I have to admit I would really like to get an Echo at some point not sure what my Mum would think of one though. I’ve been thinking of purchasing an amazon echo for the past little while. I didn’t realize how intense they are! I love the idea that you can change the colour or the mood of the room with a simple use of your voice! What a great combo! I have been wanting to get Hue for my home since it came out! I love mood lighting and I really do feel it helps from having more energy to feeling relaxed and calm. Gotta get it – on the wish list! Oh I am so interested in those lights! I would love to have them in my home!! There are so many tech items available today that actually help moms with everyday life. What a great idea on tech that changes the light in your room. I really want to try out an Echo. I think they are pretty nifty! We have a small lamp that has a small color changing led in it. Itbis fun to pay with at a later date. I love thay I can the rooms tone if i want too. These all sound like great ideas for Mother’s Day gifts!! I will have to check these out soon!! Technology always amazes me! It seems like our whole houses are from the future these days! I need to step up my futuristic game now! I think that’s a great mother’s day gift. We love our Amazon echo and I’m just waiting a little while to get the switch. These are both great options for mothers day! I am less of a technology guru than my husband is, but we love our Alexa! I am a gadget girl. BIG time. Husband is less of a gadget guy but he eventually will come around after seeing how the tech can make life simple. I really am after an Amazon Echo. You have convinced me I need it in my life. Also the Philips Hue lights are amazing. I think I read about them here before and really was interested them. And frankly let’s be honest here – BEST BUY is the best place to get all of these things. It’s my Go to for gifts and for technology always. I am always looking for an innovative and new stuff that can help us even for our everyday routines. 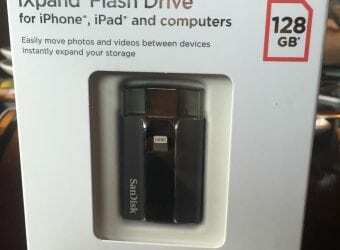 I think this is really wonderful and most of all, I like buying at Best Buy. What will they come up with next? I love my Echo, so now I have to get these bulbs so I can do this at my house. Changing the tone of lights sounds really neat! It would be great for warmer or cooler lighting when taking pictures too! We have both and have them hooked up together. Nice being able to control the lights through it. Only drawback is sometimes they get disconnected and it takes two tries to get it to respond. I don’t have the Amazon Echo and Philips Hue White and Color Ambiance Starter Kit but it seems so great. It is great to change up the lighting on demand. These Philips Hue lights look really neat. I would love to try them in my living room to start. I think this is so cool. I need to see about getting this for myself. I would love to control my lighting with my voice. My husband would love this in our home as well as our daughter. Not having to get up to turn the lights on and off would be great. I’ve always thought about getting one of these. I think they would be really nice. I’ll have to check it out the next time I’m at Best Buy. I’ve considered getting an Echo. And with this Starter Kit, I think I just may need both! I want an Amazon Echo. i didnt know there was a starter kit but would love to obtain one for myself! This is awesome! Really great Mother’s Day gift idea! I’m loving the idea of these light bulbs! I’ve been looking to switch all mine out to natural light and I think being able to control them makes it even better! These would make some pretty dang awesome mother’s day gifts! I love the idea of those lightbulbs. How neat are they!? I want to set up a whole smart home, that would be super awesome. I need to check these out! I’ve heard so ucg=h about Alexa and my husband always wanted to look into this. I have to share this with him. The Echo is such a good gift idea. I totally need to get that for my mom. There are so many fun things to buy from Best Buy! The Amazon Echo is an awesome device, as are the Philips Hue light bulbs!